Motivation to exercise can be difficult to obtain. Not only do you have to plan exercising around your work day, but sometimes you have to wake up at hours earlier than normal to achieve your fitness goals. Here are some ways I trick myself into finding motivation to work out (PS - You don't NEED a gym membership for all tips). 2. Find a workout buddy! Sometimes you need a little push. A friend who shares the same goals as you (key: who shares the same goals) will help you, and you, in turn, will help your workout buddy. 3. Train for something. Whether you are training for a marathon, trying out for a team, or becoming a member of a bar volleyball league, create a goal to train for something. 4. (#3 and #4 go hand-in-hand) When you make goals for yourself, be specific. For example, "I will run the Chicago Marathon in August of 2011." If you simply say you are going to lose weight, you will lose motivation and tell yourself, “Well, I wanted to lose weight, and I guess I lost 5 pounds, so I can stop now,” or whatever the case may be. 5. Wear workout clothes when you are cleaning the house, and keep dance music or the Discovery Health Channel playing on your TV. When I wear my workout clothes, I want to SWEAT! There is something that clicks within me that inspires me to be active. 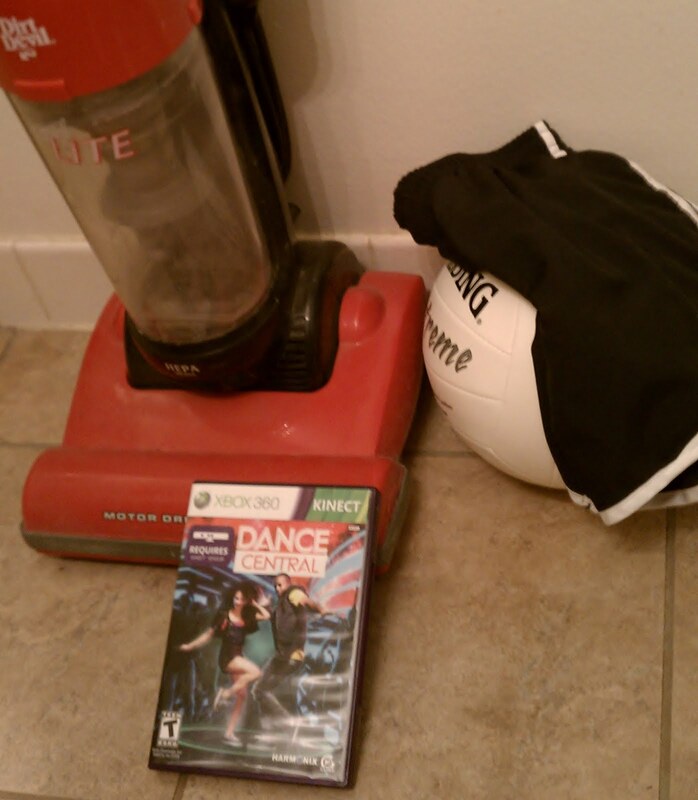 So, if I’m cleaning, I will finish cleaning (I usually work up a sweat) and I’ll play a workout DVD or play my Kinect to get my blood pumping. 6. Invest in Xbox Kinect. I am not a spokeswoman for Kinect, but having the Kinect for Xbox has made a major impact on what I do with my free time. I play Dance Central, and I don’t even realize I’m working out because I have so much fun; however, I get tired, I still sweat, and my heart rate increases, thus it tricks me into working out. No matter why you want to work out, sometimes finding motivation can be tough. 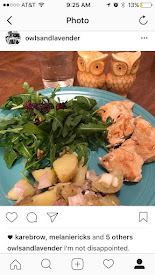 Take these tips I have created from experience and use what works for you! Add new ideas into your own list to continue tricking yourself into working out. When I stepped into the Bikram yoga room, my heart immediately began to flutter. I thought to myself, "How am I going to make through this class? I can't do it!" As a person who suffers nearly every summer from heat exhaustion, I knew it would be a magnificent feat for me to finish the “hot yoga” class. However, I toughed it out and thought to myself, "I paid for this class. This will be a great learning experience." I opened my green leaf-decorated yoga mat down on the carpet floor, spread a beach towel over my mat, and rested on my back with my eyes closed until class started. My heart continued to beat quickly, but once my friend Amanda arrived (she gave me moral support) I became more relaxed. The instructor began speaking and I stood up, along with the rest of the class, and walked to the top of my mat. We started with simple breathing exercises. Inhaling and exhaling. We kept our hands clasped below our chins, and we lifted our elbows up to the sky as we inhaled. We exhaled with our mouths open, brought our chins slowly up toward the sky, and brought our elbows slowly together simultaneously. After the breathing exercise we proceeded to a series of poses. The poses we did were normal yoga postures, executed the same way as any other form of yoga, but they were much more difficult given the extreme heat. My body was sweating profusely, and we only stopped two times for a drink of water. Although I was sweating, becoming weak, and was exhausted, the feeling that the Bikram session gave me was amazing. It was amazing how much flexibility I gained throughout the class. I have never sweat that much before, but the cleansing feeling Bikram gave me was rewarding. I was challenged to keep going, and I was surprised that my body was able to handle the heat. Because of my immense concentration on the poses, I soon forgot how warm I was, and I simply focused on the task at hand: breathing and posture. An hour and a half later we concluded our class with another breathing exercise. Thankfully, I made it through the class, and I felt amazing afterward. Needless to say, I purchased an unlimited month of yoga for less than $40.00, and I am continuing my practice! If you are in the Milwaukee area and are interested in the studio I now attend, click HERE! For more information on Bikram yoga, click HERE! I want to be like Audrey Hepburn, but even better (I think this and I smile). Here's a tribute to the profound actress who also made a name for herself as a philanthropic humanitarian. "While vacationing with her mother in Arnhem, Holland, Hitler's army took over the town. It was here that she fell on hard times during the Nazi occupation. 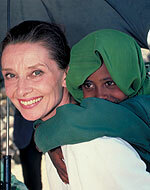 Audrey suffered from depression and malnutrition. 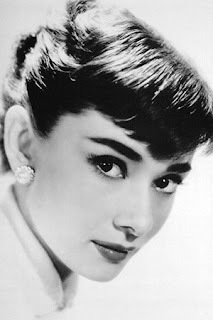 After the liberation, Audrey went to a ballet school in London on a scholarship and later began a modeling career" (http://www.imdb.com/name/nm0000030/bio). She was named one of the top 100 Movie Stars of All Time, and she worked for UNICEF from 1988 on. IMDb wrote that some of Hepburn's trademarks were: Here elegant beauty, Her elegant beauty, she was often cast opposite leading men who were considerably older than her, she often played classy high society women, and her wide brown eyes. "Soon after becoming a UNICEF ambassador, Hepburn went on a mission to Ethiopia, where years of drought and civil strife had caused terrible famine. After visiting UNICEF emergency operations, she talked about the projects to the media in the United States, Canada and Europe over several weeks, giving as many as 15 interviews a day. It set a precedent for her commitment to the organization." UNICEF went on to explain that Hepburn has traveled to Turkey, Venezuela, Ecuador, Guatemala, Honduras, Bangladesh, and Viet Nam. Aside from traveling the world to make a difference, UNICEF also dislcosed that "[Hepburn] testified before the US Congress, took part in the World Summit for Children, launched UNICEF's State of the World's Children reports, hosted Danny Kaye International Children's Award ceremonies, designed fundraising cards, participated in benefit concert tours and gave many speeches and interviews promoting UNICEF's work." Hepburn recieved the Presidential Medal of Freedom in December, 1992. She continued to travel (with cancer) to Somalia, Kenya, the United Kingdom, Switzerland, France, and the United States. "She died in her home in Switzerland on 20 January 1993."